If you order multiple licenses (eg. 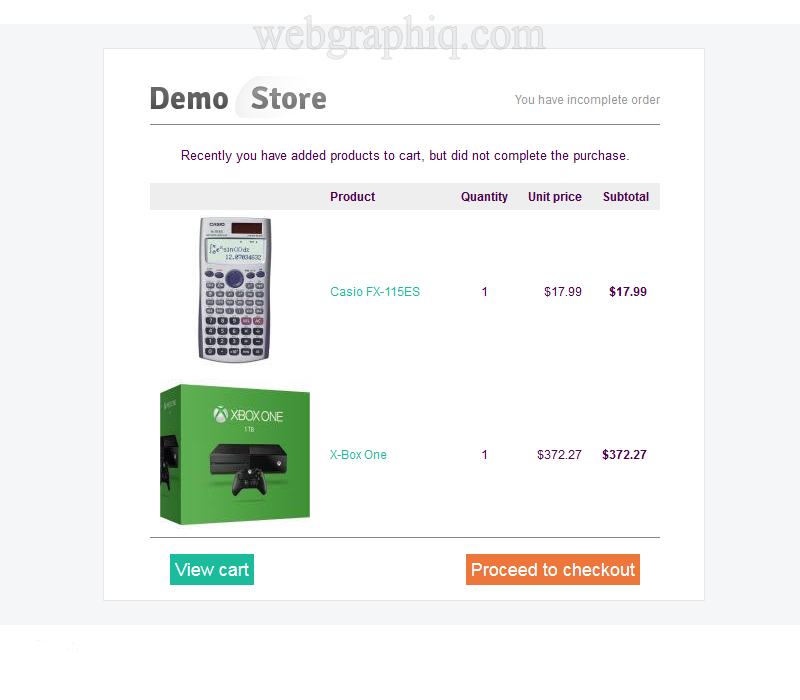 you have multiple stores) enter the domain names comma separated than enter the Quantity according to your domain/store numbers.. 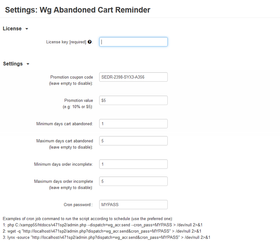 The Abandoned Cart and Incomplete Order Reminder add-on is an effective tool to decrease abandoned cart rate and increase sales for your online store. 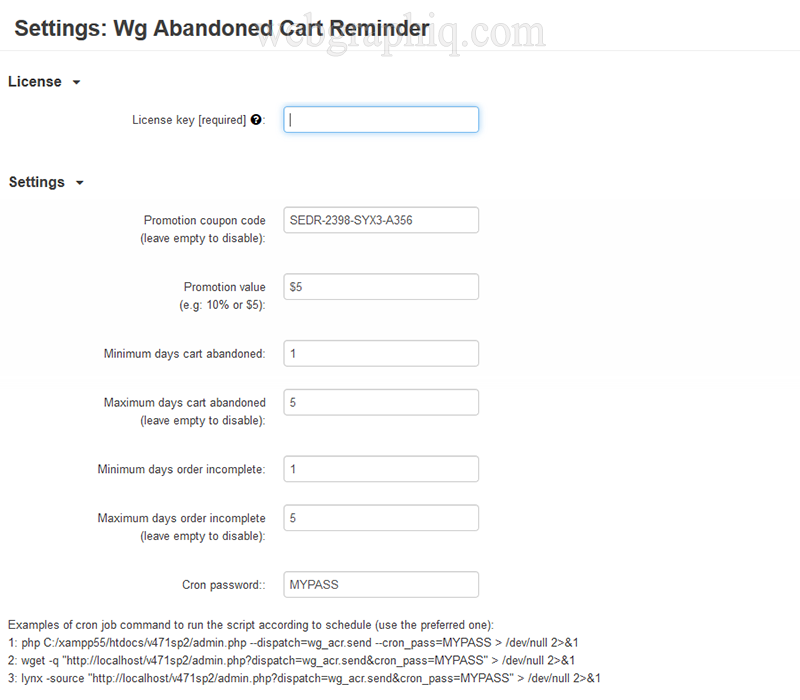 Whatever the reason, Abandoned Cart Reminder for CS-Cart helps recapture these lost sales. 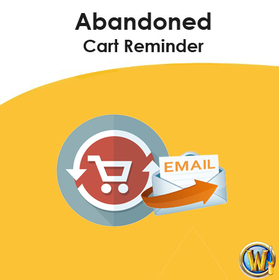 It will send reminders, alerts at configurable intervals to the customer and remind them they have an abandoned cart. No core files changes, editing. 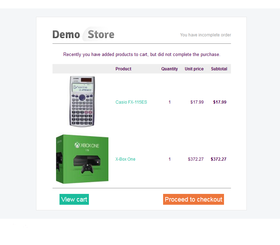 Easy installation, 1 click installation compatible! 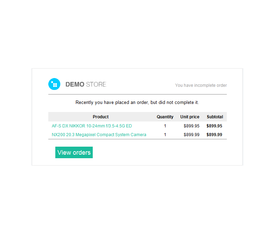 Note: Cron job is required to be installed on your server to send reminder emails. 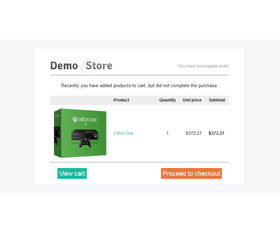 Click here to see live demo! 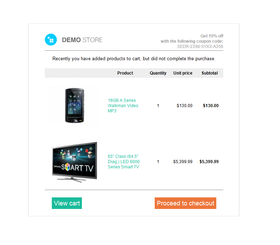 - place a test order with a working email address! This add on works perfect out of the box. 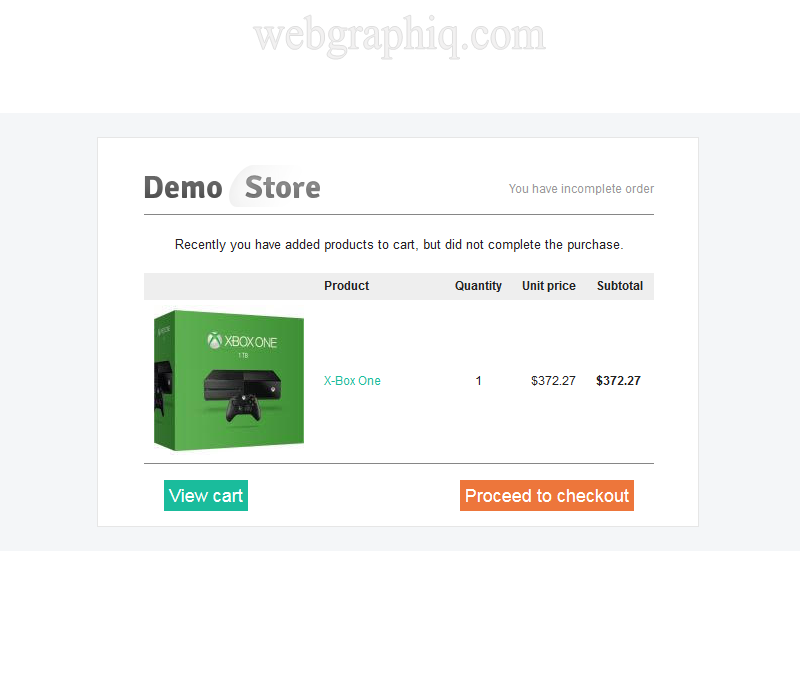 There is not a lot of configuring to do, my customers get an email with the items and pictures with links to finish the order. 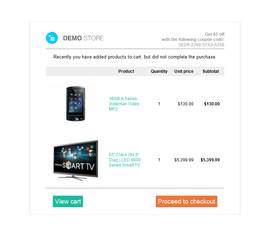 It is very easy for my customers to complete. 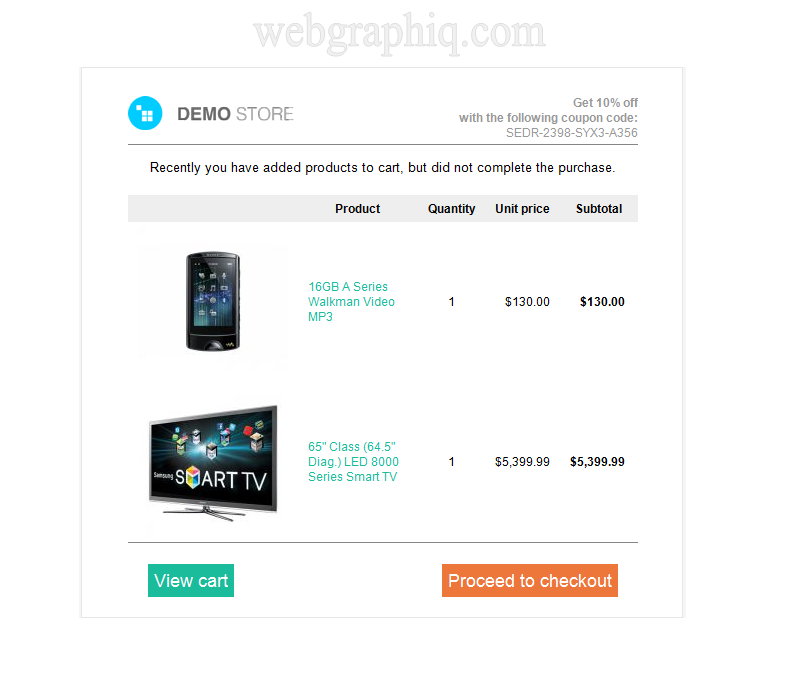 I'm an old customer of Webgraphiq. 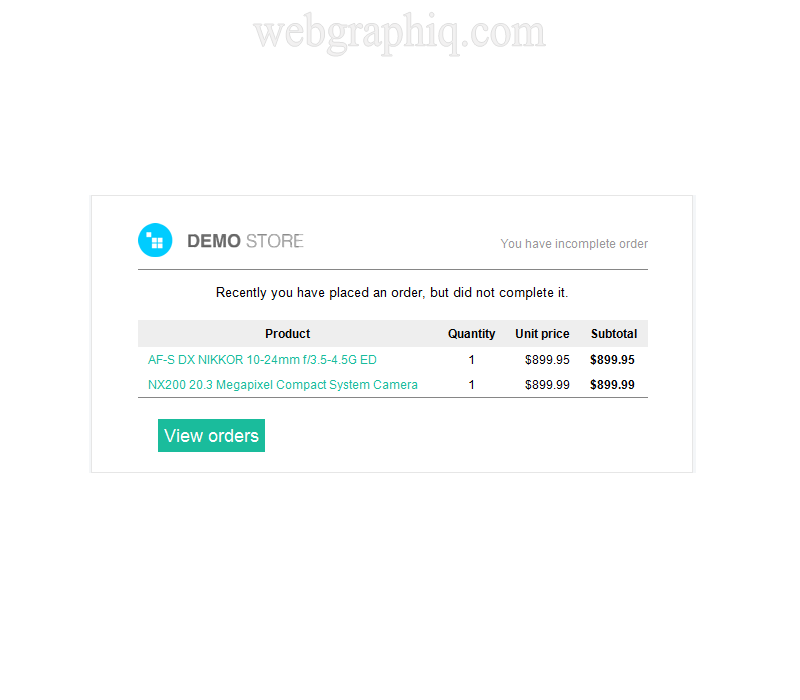 The add-on started working right after the installation and the abandonment rate decreased by 25%. Support is great as always. © 2003-2019 WebGraphiq. All rights reserved.